Consumer experts warn that the new legislation has created an opportunity for scammers to steal your financial, personal information—and even money. Fake marketplace exchanges have already been created but security experts warn that the problem will worsen as October 1st approaches. The Health Insurance Marketplace doesn’t open until October 1, so you can’t buy coverage under the ACA until then. Don’t respond to a cold call of any kind, especially one that asks for personal information or money. And don’t trust your caller ID; it can be configured to look like the call is coming from a government office. Don’t let anyone hurry you, the rates in the exchange have been pre-approved and won’t change during the initial enrollment period, October 1st to March 31st. The FTC’s Lois Greisman urges you to file a complaint if you spot a problem, get a suspicious call or fall victim to a health care insurance con artist. Read the warning labels and performance descriptions before igniting fireworks. Always supervise children around firework display and do not allow young children to handle or use fireworks. Wear safety glasses and have water ready if you are shooting fireworks. Leave the fireworks to the professionals by attending a public fireworks display. Every Fourth of July, thousands of people are injured while using consumer fireworks. 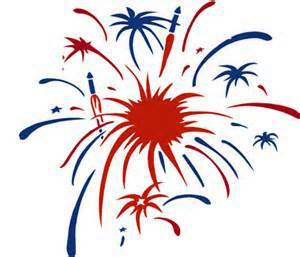 The risk of fireworks injury is highest for children ages 5–19 and adults 25–44. Nearly 90% of emergency room fireworks injuries involve fireworks consumers are permitted to use. As Storm Sandy continues to pummel the Northeast, residents in the path of the storm are urged to heed warnings from state and local officials. Earlier today, President Obama spoke from the White House Briefing Room and the White House released guidance from the Federal Emergency Management Agency (FEMA) listed below. Follow Directions Of Local Officials: If told to evacuate, do so immediately. Know The Forecast: Continue to monitor your NOAA Weather Radio and your local news for severe weather updates, warnings and watches. Follow your forecast at weather.gov on your computer or mobile.weather.gov on your smartphone. Turn Around: The potential for heavy rains can also lead to flooding, or flash flooding in some areas. Driving through a flooded area can be extremely hazardous. Check On Neighbors: Make sure your neighbors, especially the elderly and infirmed, are safe and sound. Find Shelters: Check the Red Cross for shelters in your area. Although Labor Day can be a fun, relaxing way to say goodbye to summer and hello to fall, it can be dangerous if proper safety measures aren’t followed. Here are some tips to help you stay safe this Labor Day weekend. Highway Safety: More than 42,000 people are killed in automobile accidents nationwide, with the extended Labor Day weekend being one of the peak times for those deaths. Drivers should be well rested and sober. Drive defensively and wear a seat belt. Water Safety: Many people spend the holiday weekend around water. Divers, boaters and water skiers should forgo alcohol, wear a life jacket, pay attention to weather and wind conditions and never boat alone. Food Safety: Food-borne illnesses lead to many emergency-room visits because of mishandled items. Don’t leave perishables out for more than two hours. Throw away leftovers when you get home. Grilling Safety:Be sure to cook meat to the proper internal temperature and never mix plates or utensils between raw and cooked meats. Skin Safety: Always wear sunscreen. Reapply it often to avoid sunburn and the potential for skin cancer. Pets: Heat stroke and dehydration are two of the most common injuries when it comes to pets and warm summer weather. Make sure your pet has plenty of fresh, cool water to drink and keep them in the shade. Be sure to keep dangerous and potentially fatal foods like raisins, grapes, onions, chocolate, fruit pits, macadamia nuts, coffee and alcohol out of the reach of pets. The Fourth of July holiday, which marks our nation’s independence from Great Britain, is typically associated with fireworks, parades and backyard picnics. Below are some simple tips for staying safe while enjoying the festivities. Limit the amount of direct sunlight between 10 a.m. and 4 p.m.